You would access autofocus from the front, rather the back.. twist off the front matte element (either use your fingers pushed against it or help it a bit with something small and pointy from the highlighted spots) after that, screw off the screws. If that was not the issue and you are just looking for some photos oh tokina disassembly, youre in luck it took me a lot of effort to actually realize what was wrong so i kept on digging… apparently the way you get things going is just pulling off the rubber rings over the focus and zoom, the focus is held together just by tape, so cut it and replace it later on. 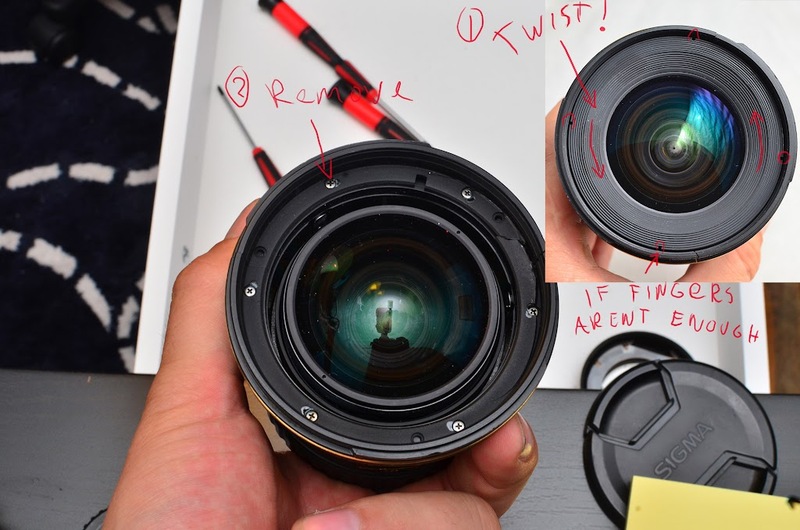 Hi, this might be very helpful to me, but how did you remove the focus ring rubber part,between pic 2 and 3? Mine is bent to, but I need to remove the ring to get to it with pliers. Did you dissasemble from the back too? Hi Joosep & thanks for posting. I am also trying to remove the focus ring set-up (sand under the rings…). I’m confused how to proceed after img 4? 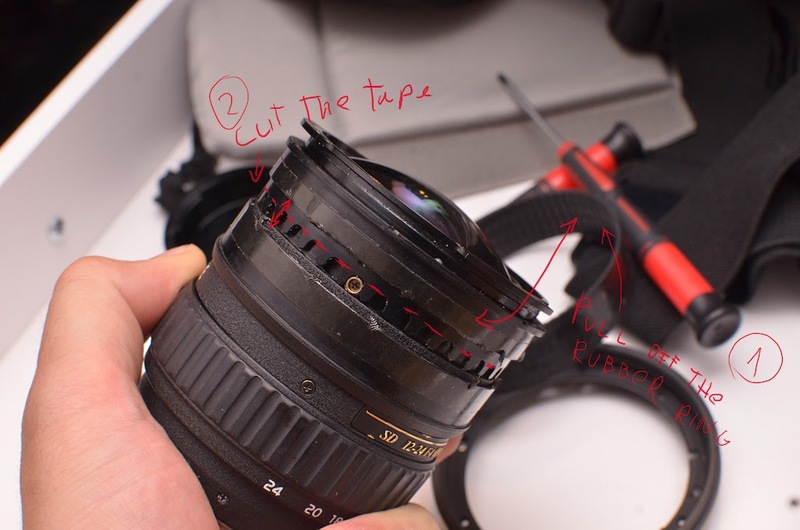 The tape has been cut to separate the 2 sections of the focus ring – which screws will release the focus ring mechanism off the front of the lens? Is it the screws (3 of) showing just above the infinity sign in img 5? Must I dismantle from the rear of the lens (camera end) or will the focus ring assembly come off the front of the lens (filter end)? Many thanks! Thanks man! 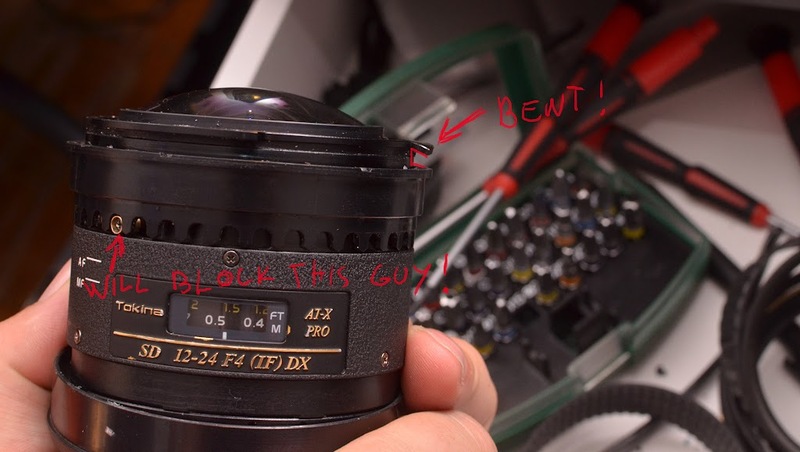 Finding this on the internet help me repair my tokina wide-angle lens. It was a little bit of a pita to put it back together because of the screws lining up but it works again and isn’t jammed! Hi, I have a question: do you know what type of screws the lens has in the first ring? (The screws in the first picture, the ones at the arrow with ‘2 remove’). I lost all of mine and I don’t know what size of screws I should buy. I think the screw thread is something like 1.2 mm, but I can’t see how long he must be. Do you maybe know the right sizes?